Imprisoned Philadelphia rapper Meek Mill learned on Monday that he will receive a new trial for the gun-and-drug conviction whose legitimacy now appears questionable at best. Until further notice, he remains behind bars – the symbol of a movement that found fresh grounds for protest when two black men were arrested at a Starbucks in Center City last week. The two men, who hadn't committed a crime, were held for more than nine hours before their release. The ensuing backlash against Starbucks prompted a series of local apologies and investigations. Philadelphia Police launched an internal probe of their policies. Starbucks CEO Kevin Johnson flew to Philadelphia to engage in damage control. Mayor Kenney, "heartbroken" by the arrests, spoke at odds with police commissioner Richard Ross, who insisted his officers did nothing wrong. 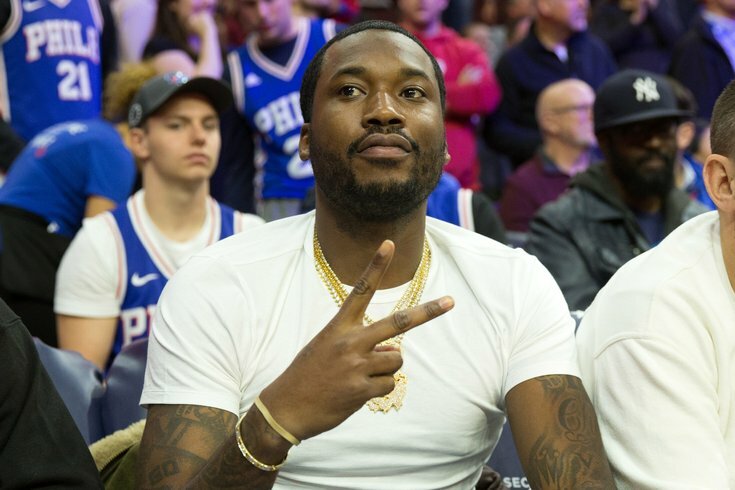 Meek Mill, whose real name is Robert Williams, joined CNN's Don Lemon on Monday night to discuss his imprisonment and the state of the criminal justice system. He offered his own reaction to the arrests at Starbucks, noting as an example how badly things would have turned out for him or another person on parole in that situation. "When you are already a target and you are in high risk neighborhoods ... be careful ... Watch the way you move ... you could get caught up in situation like this." "If I was them kids at Starbucks, you see they're talking about the Starbucks, the black kids got locked up. If I would have gotten locked up in Starbucks, just for sitting in Starbucks, by mistake, and got a technical violation, [then] legally a judge would be able to sentence me to 2-to-4 years, 3-to-6 years, 5-to-10 years just for having police contact," said Meek Mill. "I don't think anyone should lose their freedom for not even committing a crime." At Monday's hearing in Philadelphia, embattled Common Pleas Court Judge Genice Brinkley refused to listen to arguments on whether Meek Mill should be released immediately pending a new trial. The 30-year-old hip-hop star is serving a 2-to-4 year sentence for parole violations. Philadelphia District Attorney Larry Krasner has said his office won't oppose Williams' release on bail pending the outcome of an appeal to the state Supreme Court for post-conviction relief. The motion Meek Mill's attorneys brought to Brinkley on Monday contains testimony claiming that the arresting officer in the rapper's case lied about the circumstances of Williams' arrest in 2007. Retired officer Reggie Graham falsely accused the then-19-year-old Williams of pointing a gun at him outside a Philadelphia drug house, according to the testimony of a fellow police officer. Brinkley has come under fire for alleged ethics violations of her own, including advising Meek Mill on who should manage his music career and asking the rapper to name-drop her in his lyrics. Lemon asked Meek Mill what he wants people to know and learn based on his own misfortune. "I want people to be careful," Meek Mill said. "I want people to be careful, especially young minorities. I call it target practice. When you're already a target and you're in high-risk neighborhoods where people go to jail a lot, be careful. Watch the way you move because you could get caught up in a situation like this, where you could be 18 years old and suffer from it when you're 30 years old."